Anisocytosis is a condition that can indicate other, more serious blood-related issues. Many people have a general understanding of such things as sickle cell and other forms of anemia. The words iron deficiency are often thrown around a lot as well. What all these things have in common is anisocytosis. Understanding more about anisocytosis is key to determining if you or someone else may have these types of serious red blood cell issues. Here is everything you need to know, and what you can do, about this condition. Aniso – This means unequal, or dissimilar. Cytosis – This term often comes up to indicate or refer to the movement of, a number of, or features of cells. Why Are Uneven Red Cell Sizes a Problem? The shape and size of your red blood cells are ideal for the transport of oxygen. When some are misshapen, it is harder for the blood cells to disseminate oxygen as efficiently, and as closely, to other parts of your body. 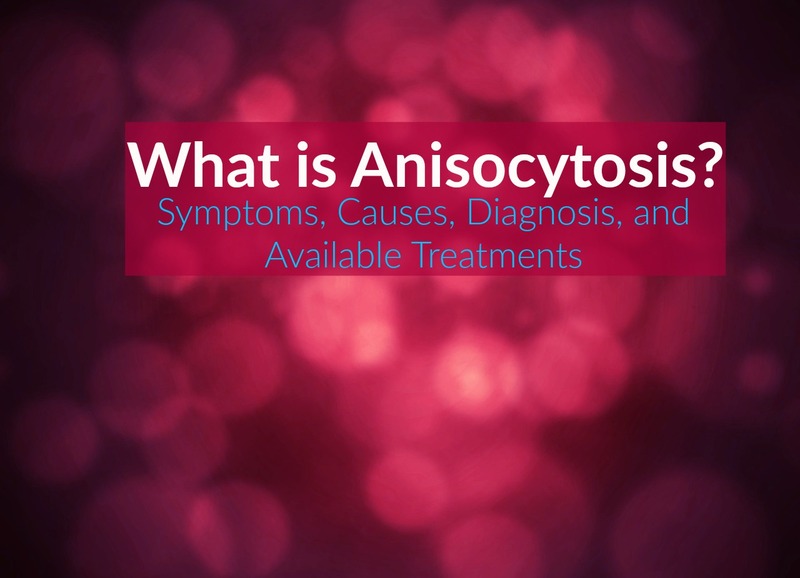 Because of that lack of efficiency, you will start to suffer from many of the symptoms of anisocytosis. There are various symptoms that can alert you to a red blood cell problem. » Fatigue, tiredness – Feeling tired all the time, or becoming tired without much effort. A general lack of energy and a lethargic feeling. » Breathlessness – Due to that inefficient oxygen delivery, you may feel shortness of breath occasionally, or frequently. » Rapid, increased heart rate – Heart rhythms can increase for apparently no reason. Even if there is no activity. This is the heart trying to make up for the lack of efficiency of the red blood cells. » Pale skin – Since oxygen is not making it to your tissue, as it should, your skin, nails, and eyes can become noticeably paler. These are all signs of anisocytosis. They are also signs of other blood-related issues. Given that anisocytosis can lead to other issues, or represent a symptom of another issue, it is important that you do not ignore these types of symptoms. Where Does Anisocytosis Come From? There are many things that can cause this condition. Conversely, there are many conditions that list anisocytosis as a symptom. » Iron deficiency – Iron is a key component in red cell production and function. A lack of iron can lead to irregular blood cells, as well as to anemia. » Vitamin deficiency – A lack of Vitamin A, B12, and folate can both lead to irregular blood cells. They can also lead to a decreased production of blood cells. In addition, you can suffer from issues unrelated to anisocytosis from a lack of these essential vitamins. » Anemia – There are various forms of anemia. Anisocytosis is often a result of anemia, but conversely, various forms of anemia can lead to anisocytosis. Beyond these, there is also a danger of anisocytosis that comes from blood transfusions. Generally, if the new blood cells are not around the same size and shape, then it is possible to contract a temporary form of anisocytosis. The main way to diagnose anisocytosis is with a blood sample. Looking at the sample under a microscope can reveal if the cells have irregular shapes or non-uniform sizes. From that initial look, more tests are performed to see the extent and nature of the issue. • MCV – You will receive a measurement of just how many red blood cells you have, on average, in a particular sample of blood. This is the mean cell (or corpuscular) volume (MCV), which goes into giving you an accurate red blood cell count. • RDW – In addition to a blood count, the blood smear will also be analyzed to find the red blood cell distribution width (RDW). This test will reveal the range of size variations in the sample. From these tests, a physician can determine a number of things. Anisocytosis with a high volume of smaller red blood cells – This can indicate you have low iron or a form of anemia that involves a low cell count, such as sickle cell anemia. Anisocytosis with a high volume of larger red blood cells – This can indicate you have other types of vitamin deficiencies, hyperthyroidism, liver disease, or any of a number of other conditions. Anisocytosis with more normal than abnormal red blood cells – Even if the blood has more normal than abnormal cells, those abnormal cells can still indicate an underlying problem. Issues can range from other types of anemia to the early onset of a vitamin deficiency. Keep in mind that you may require other tests as well to determine if anisocytosis represents a symptom of another problem. These tests can vary depending on what the physician believes the underlying problem may be. Because anisocytosis can indicate any of a number of other conditions, there is a probability of misdiagnosing the cause of it. (10) There is also a possibility of misdiagnosing anisocytosis itself. 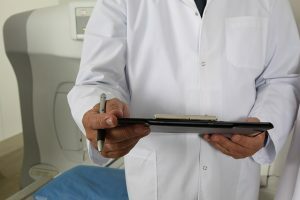 It is important that you and your primary physician seek the services of professionals that deal with blood-related issues if there are any doubt whatsoever. A misdiagnosis can turn into a serious problem if you start treatments for a condition that you do not have. Treatments for this condition can vary greatly. Keep in mind the many causes for the condition. That means it is important to get to the specific root cause for a particular individual. There is no specific cure for anisocytosis. If it is possible to deal with the cause of the condition, then the condition will go away. » Supplements – If a lack of iron or another vitamin is the underlying cause of anisocytosis, then taking supplements can represent a treatment regimen for the condition. 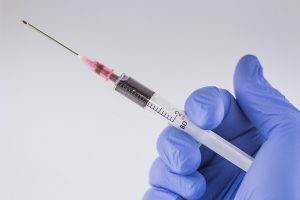 (check price on amazon.com) In some cases, an IV may be required to deliver the vitamins you need. » Change in diet – Similar to taking supplements, a change of diet may also help to deal with anisocytosis. You may need to start eating food rich in iron or other vitamins you lack. » Blood transfusion – Usually reserved for extreme cases. A blood transfusion can filter out the abnormal cells and give you properly sized ones in their place. If your anisocytosis is a symptom of another condition, then you will need treatment for that condition. This can vary considerably depending on which condition you have. Even if it is anemia, there are different treatments for different types of anemia. In the case of some chronic conditions, you can alleviate the symptoms of anisocytosis, but not completely remove them. For example, some forms of anemia require consistent, ongoing treatments. (14) You may need periodic transfusions, medications, steroids, therapies, and even surgeries. While these are treating the underlying issue, they can also mitigate some of the effects of anisocytosis as well. If you do not have immediate access to a physician, you can also try an over the counter anemia test kit or give yourself a small evaluation. Neither of these things will confirm anisocytosis, but they can help you figure out if seeing a physician is the right move. This condition is not life threatening. However, it is often a sign of a more serious underlying issue. Seeing a physician for a blood test is the first order of business if you suspect anisocytosis. Even if you just want a blood smear test for your own peace of mind, you can request one. From there you and your physician can figure out the next step.